between 2.5cm and 2.8cm (1” – 1 1/8”) in diameter. About one inch diameter or just over, and 48 – 50 inches length would be perfect for most adults unless they are very tall or short. However, many women feel comfortable a with a wand of about 47 inches. It is not necessary to use bamboo but many people like the feel and authenticity of bamboo when they perform the exercises. It is difficult to obtain bamboo of the correct dimensions from UK and European suppliers because they tend to offer bundles of set lengths and thickness. These will not always conform to the required dimensions and you may end up with waste as you cut to size. A single bamboo pole is inexpensive but a special bespoke order would push the price up. 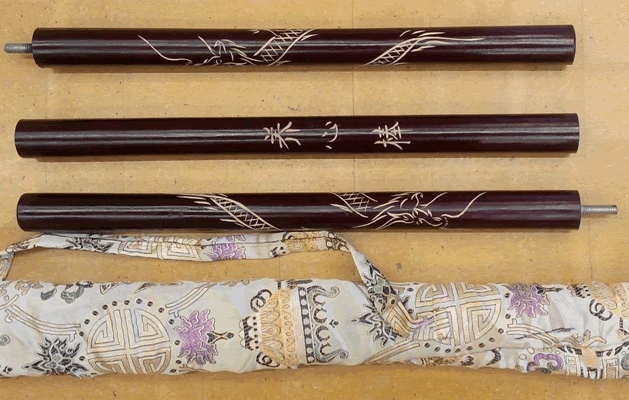 I used to have a small stock of bamboo poles especially imported from China that students could obtain these from me. But this was a one-off order. Because of increased shipping costs it was not practical to obtain bamboo poles from overseas. I do not intend to pursue this as a business venture. However, for those who want to import bamboo poles from China, many Chinese companies can supply bamboo poles of fantastic quality natural bamboo. You should request poles 50 inches long and 1 inch in diameter and lacquered for preservation to last a lifetime. When I imported my batch a few years ago the Chinese company sent me a `sample’ of 50 poles which cost about £170 to deliver within just a few days by international courier. Some products listed by this company are the perfect length for the Jiangan – 48 inches. However, a broom handle is invariably rounded at one end (for easy handling while sweeping) so you should buy one that is slightly longer than the length needed (54 inches for example) and cut it to size. The advantage of this is that you can cut it to any length you need. This is especially useful if you require a shorter wand. 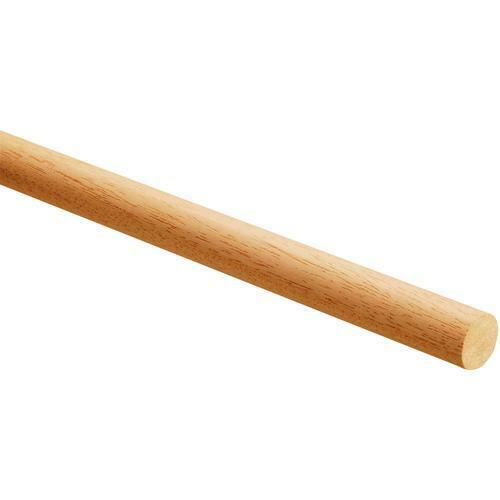 Many dowels listed on this site are 28mm thick, which is the maximum recommended for the wand exercises. The wand dimensions are similar to those of the Japanese “Jo” staff, which is a martial arts weapon. As this is a comparatively popular item, sources of supply are abundant on the internet. The most common Jo are made of oak and many people, including myself, learnt Jiangan using an oak Jo. However, it is rather heavy and may not be suitable for some seniors. A lighter wand always should be used in preference to a heavy one if at all possible. Use the lightest wood you can find for your dowel / wand. 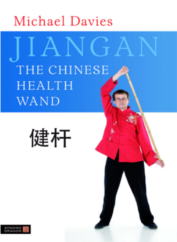 A UK martial arts supplier is now importing sticks from China for use with Qigong (specifically for the Taiji-Qigong Health Preservation Form). The length is just over 47 inches, which is only just under the minimum recommended length but could be suitable for some people. The sticks are also 3cm in diameter, which is 0.2cm thicker than the maximum recommended by Johnson (2.8cm). These two deviations from the recommended wand dimensions are quite small, however, and the reason I have included this supplier is that they have a 3-sectional version with carrying bag – see photo below and product details here. Note: although the length is cited as `1.30cm’ at one point I believe that the correct, actual length is 120 cm. From my experience, the dimensions of such items from martial arts suppliers does tend to vary sometimes so please contact the supplier to conform the dimensions being sent. They also have a one-piece wand Here – the longer version should be suitable, though again slightly thicker than recommended.